I’m afraid that you are simply making excuses if you say that you can’t find anything UK made – It has never been easier to find products made in Britain and they don’t have to be expensive. Don’t just rely on the High Street (although I encourage you to buy British made gifts you find in High Street shops); use the internet to research UK made gifts. You’ll have to be careful to check the provenance of your gifts; there’s a tendency amongst many firms to claim British heritage in a way that misleadingly implies manufacture in the UK. http://www.emmelinesimpson.co.uk – contemporary gifts celebrating British cities such as Oxford, London, Bristol and Bath. 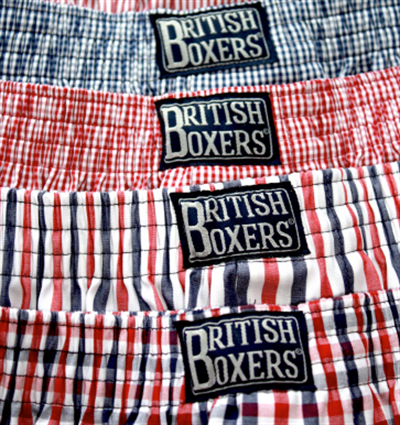 All items are made in Britain. Made in the UK coasters, tea towels, mugs, placemats, tea pots, calendars, notecards, etc. Note though that Emmeline Simpson mugs are imported from China then decorated in England. Emmeline Simpson Oxford Bridge of Sighs coaster. Made in Britain. 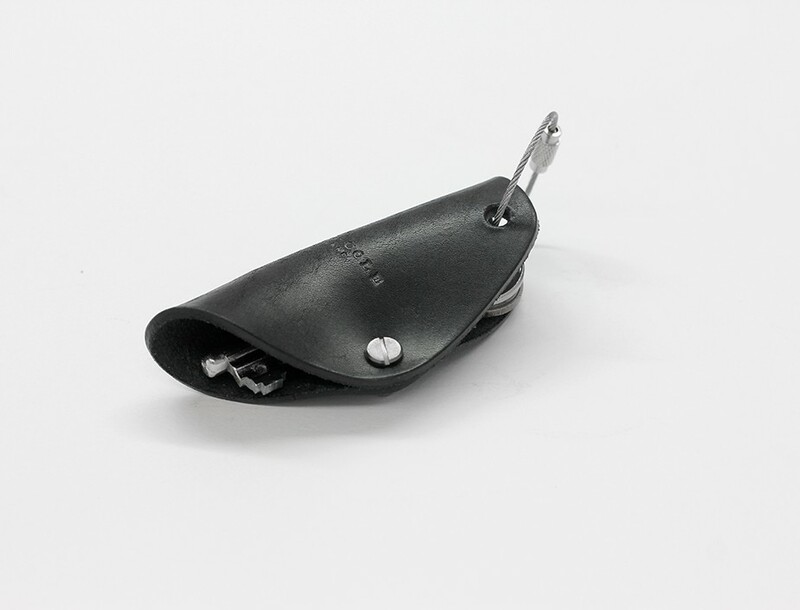 CAMPBELL COLE – KEY WRAP – Made in England. 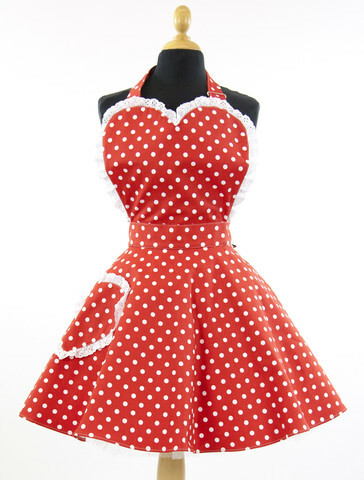 Deliciously Dotty Retro Red Sweetheart Adult Apron by Sunday Girl. Made in Britain. 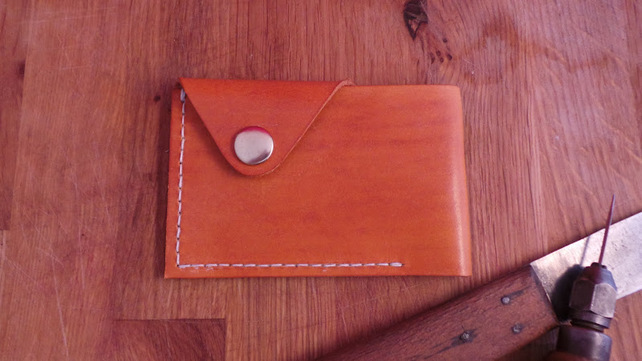 Raw Leather Hand Stitched Wallet or Card Case (Saddle Tan). Made in England. 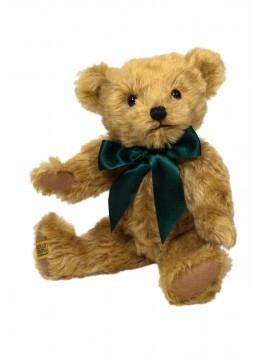 Merrythought Shrewsbury Bear. Made in England. 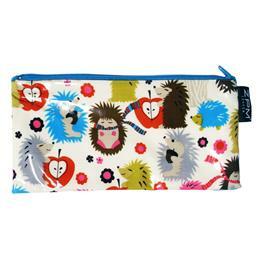 ZPM Holiday-Hedgehog-Long-Zip. Made in Britain. http://www.etsy.com/uk/shop/northerngoodsco?ref=l2-shopheader-name – paracord key clips made England. A UK made toaster by Rowlett Rutland perhaps. 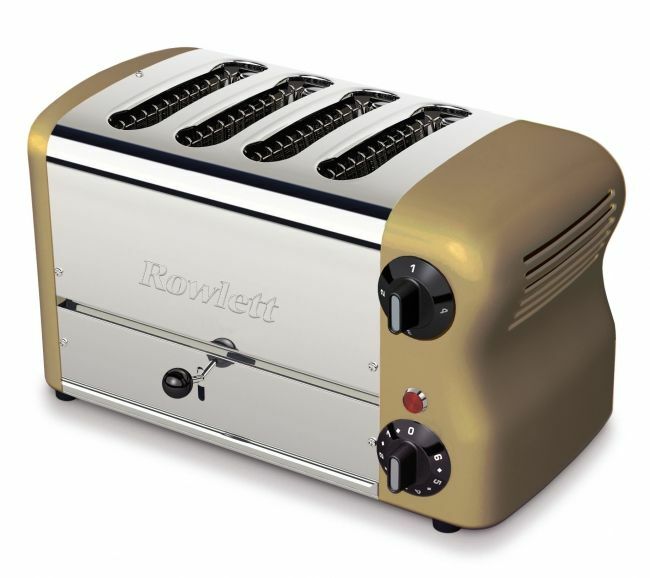 A Rowlett Rutland Toaster. Made in the UK. 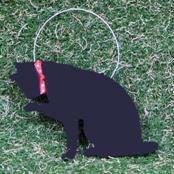 http://www.madecloser.co.uk has a great range of British made items to choose from. 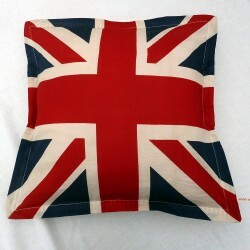 Jo Jo Accessories Union Flag cushion. Made in England. http://www.waitrose.com/shop/HeaderSearchCmd?searchTerm=dutchy&defaultSearch=GR&search=#_ – Dutchy British produced foodstuffs, drinks and mugs at Waitrose. http://ohyo.me – A made in England Ohyo collapsible water bottle would make a useful gift. 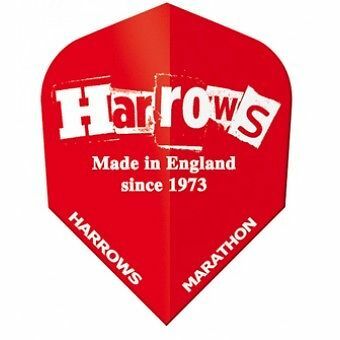 Harrows Darts. Made in England. There is a possibility that some Target darts are made in the UK, as I have read on the net that they have production facilities in China and the UK. I have written to the company to clarify this, as their About and FAQ parts of their website do not work. The photograph on this website shows a packet of Target darts as having been made in China, so do check before buying. Winmau darts and dart boards are apparently made in Kenya. They do not giving any information about country of manufacture on their website. Winmau are owned by Nodor who also do not give any information about country of manufacture on their website and presumably all their manufacturing is also abroad. Unicorn darts and dart boards are apparently made in China. Made in England wooden toys by Croglin Designs. Perhaps an elegant umbrella for a Christmas gift from http://www.foxumbrellas.com – see https://ukmade.wordpress.com/category/umbrellas/ for more British made umbrellas. Or a lovely mug from http://www.emmabridgewater.co.uk – see https://ukmade.wordpress.com/2012/09/26/pottery/ for more British made mugs. Talisker is the only single-malt whisky made in Skye and would make a good present for someone. Available in Tescos. Nyetimber blanc de blancs. Made in England. Or what about a lovely made in England soap related gift from Lush. http://limandalimanda.co.uk – Coastal & nautical themed home accessories and gifts ~ cushions, tide clocks, notice boards, chalk boards, key rings, and Christmas decorations. 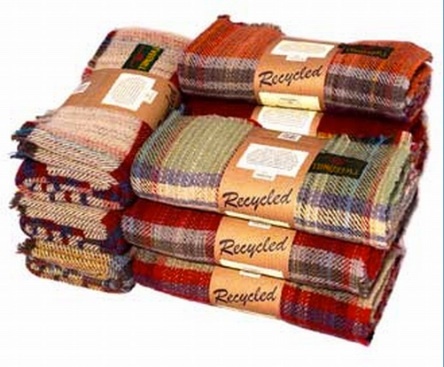 All their products are made and designed in North Yorkshire. Recycled wool rug at Dream GB. Made in Great Britain. 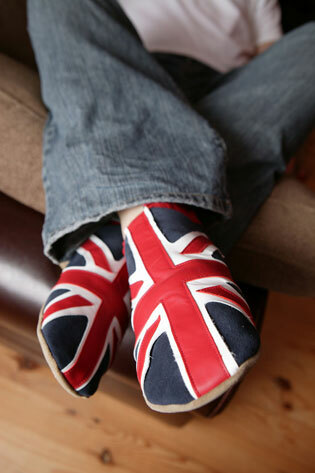 Triggerfish Union Jack – navy / red slippers. Made in England. 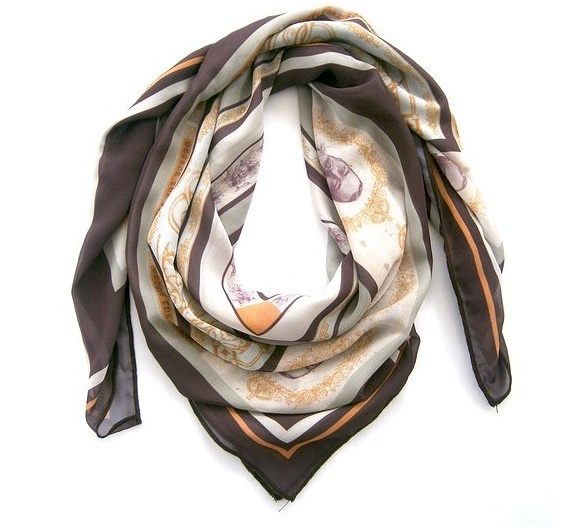 miel b King George scarf. Made in Britain. iftys.com – Iftys is an online store that specialises in selling British made luxury products. Map Marketing Limited have a production facility in Devon and make large printed wall maps, educational tools, postcode maps, digital and bespoke maps, and map gifts, for example a jigsaw puzzle map centred on your home at http://www.mapmarketing.com/map-gifts-best-sellers/customised-map-jigsaw-puzzle_ct295pd299.htm. They do not make everything they sell themselves, so please do check before buying that what you want is actually made in Britain. I love London travel card holder at Things British. Made in Great Britain. Things British gift shop in St Pancras railway station, London. Photograph by author. 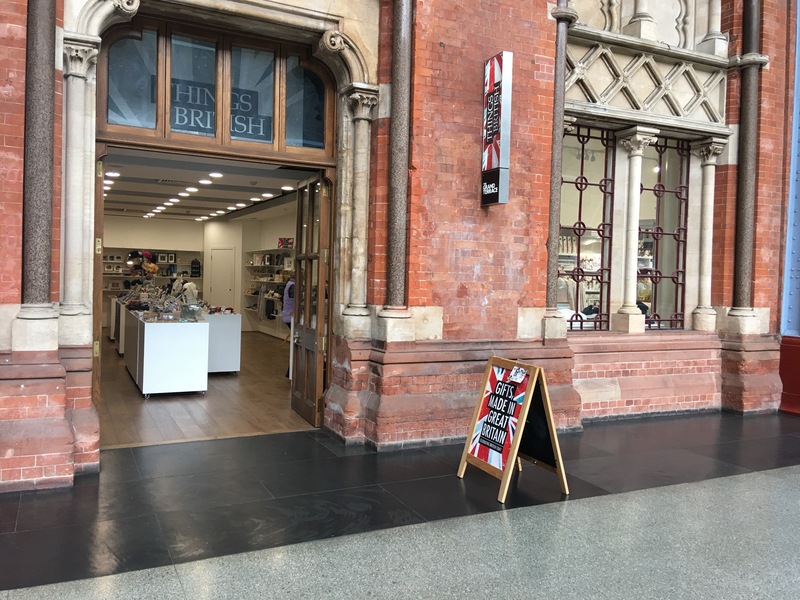 Next door to the Things British shop in St Pancras you’ll find a Smart Turnout shop. Quite a few of the items in this menswear shop are British made, for example their cricket caps, some of their jumpers and some of their scarves. 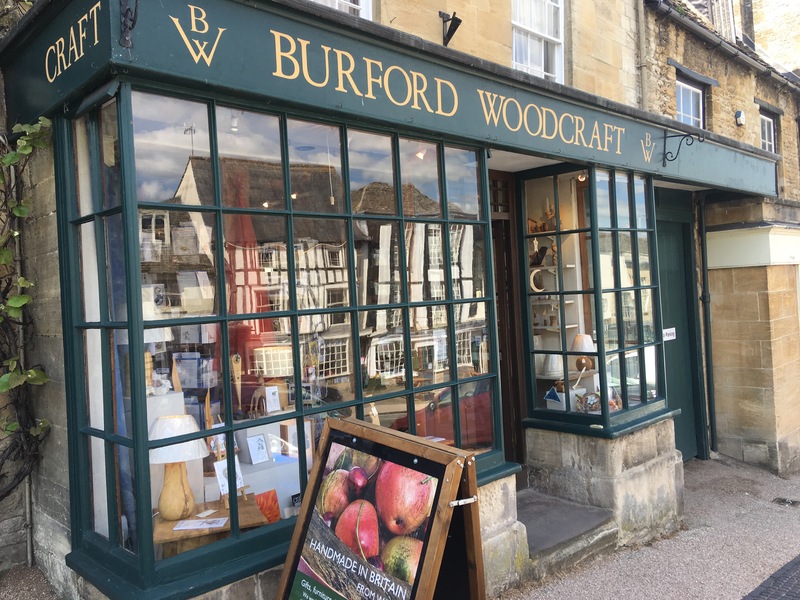 Burford Woodcraft shop in Burford. Photograph by author. How about a handsome British made tie? 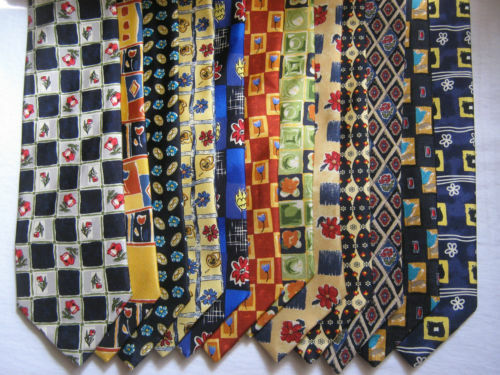 For example from http://tinaloder.co.uk/ties2013 – entirely made in England ties. Cavenagh Ties. Made in England. The whole Merchant Fox collection is made in Britain and includes so many beautiful items – http://www.themerchantfox.co.uk. 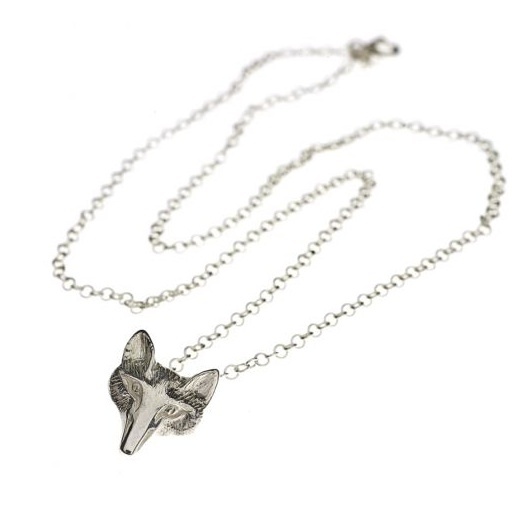 For example this beautiful Fox Mask Sterling Silver Pendant. Merchant Fox – Fox Mask Sterling Silver Pendant. Made in England. Super British made socks as a gift in wool, cotton, alpaca from http://www.jarbon.com. You can find many more British made socks here. John Arbon Textiles welly-boot-socks-2012 – 80% British wool /20% nylon. Made in Britain. Or perhaps a British made alpaca scarf from http://www.plumoflondon.com (their entire range of knitwear for men, women and children is British made; the alpaca is sourced from Peru). I hope you find this gift guide enjoyable and useful. There are so many quality British made items and it was difficult to know what to feature in this article. Do have a look around the rest of my site. Thanks. You can also get a British grown real Christmas tree easily, but do check where it is grown, that the trees on the farm are sustainably managed and consider a tree with roots so you can plant it in the garden after Christmas. All of the green gables products are made in Britain, such as their Christmas cards and gift wrap. Some shops, like House of Fraser and Paperchase, only sell Chinese made Christmas wrapping paper, but you will be able to find British made wrapping paper in most other shops – just check the country of origin on the packaging. 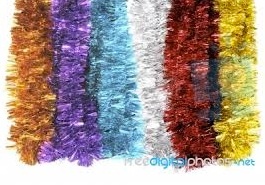 Some Christmas cards, like those from Marks and Spencer, Cancer Research, and Tesco are usually made in China. Some cards do not state country of origin on the back (and we have to assume these are foreign made) but most give country of origin. Most shops have British made Christmas cards – just check the country of origin on the back of the card. For example, Woodmansterne greetings cards are all designed and printed in England (the RSPB charity Christmas cards I am giving this year are made by Woodmansterne) or Heavenly Creatures by the Almanac Gallery Christmas cards (part of the Great British Card Company) are printed in the UK or Christmas cards by the green gables are made in Britain. Pony Poo Christmas cards are made in the UK (from pony poo!). Emma Burningham Christmas cards and Christmas gift wrap are manufactured in the UK. Oxfam Christmas cards (at least all those I have seen) are made in the UK. Emotional Rescue and On-The-Ceiling personalised cards are all made in the UK and can be purchased online at TheDogsDoodahs.com. Another online company that makes their personalised cards in the UK (in Guernsey) is Moonpig. 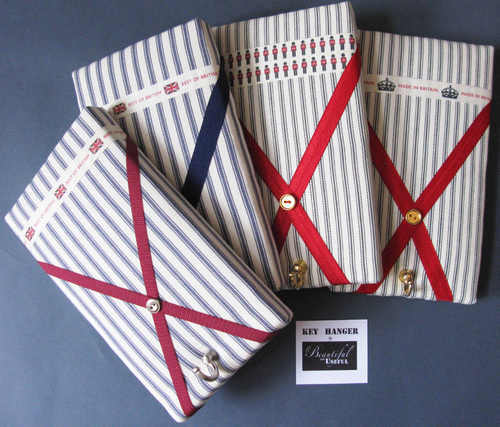 When buying your diary or calendar for 2014, please buy one that is made in the UK – see https://ukmade.wordpress.com/2012/10/14/british-made-diaries/ for British made diaries and calendars. 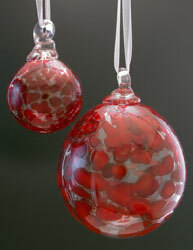 If you have more ideas for Christmas gifts, please feel free to leave a comment. British made Christmas gifts – UK made Christmas gifts – UK made Christmas presents – Christmas gifts made in the UK – British made Christmas presents – British Christmas presents – British Christmas Gifts – Christmas presents manufactured in the UK – Christmas gifts manufactured in Great Britain – Made in Britain Christmas Presents – Gift ideas – Ideas for presents – Festive gifts – Christmas 2013 – Christmas gifts – Christmas presents – Gifts for children – Gifts for men – Gifts for women – British made Christmas decorations – British made tinsel – British made Christmas cards – British Christmas gifts for 2013 – British Christmas presents – British made – UK made. Thanks very much Ian. I apprecaite your kind comments. There are lots of great British made gifts out there. These are just a few that took my fancy. http://madeintheseisles.co.uk have lots of British made things that will make great gifts. I finished my Christmas shopping yesterday and, practicing what I preach, I am pleased to say that every single gift I bought this year was made in the British Isles. Pleased that M&S are selling British made wrapping paper; disappointed though that they are selling Chinese made Christmas cards. I could not find any British made wrapping paper in Paperchase. How disappointing, but perhaps not that surprising from a company that sells Chinese made greetings cards.